Lock in a great price for The Kayon Resort - rated 9.7 by recent guests. Everything was perfect during our stay. Staff is very friendly and helpful. Room was amazing. Breakfast is very nice and a lot of choice. Would definitely go back. Breakfast was great There restaurant style is traditional taste so they use some spice. Have to know this. Afternoon tea menu is not good much expect. Very calm palce. Room cleaning was great. Wonderful staff always trying to make your stay the best. 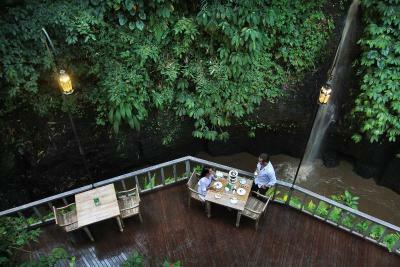 Stunning restaurant looking down over the infinity pool and jungle/river beyond. Occasional monkeys to be seen. 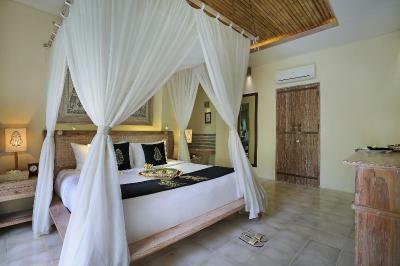 Beautiful private villas with deep plunge pools. Very comfy accommodation. 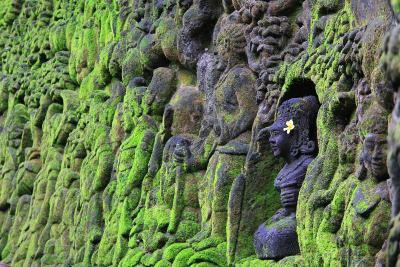 Free shuttle bus runs into Ubud about 10 mins away. The staff was very accommodating and friendly. The resort was very clean and the food was excellent. The area was beautiful. Absolutely perfect, we had an exceptional stay. 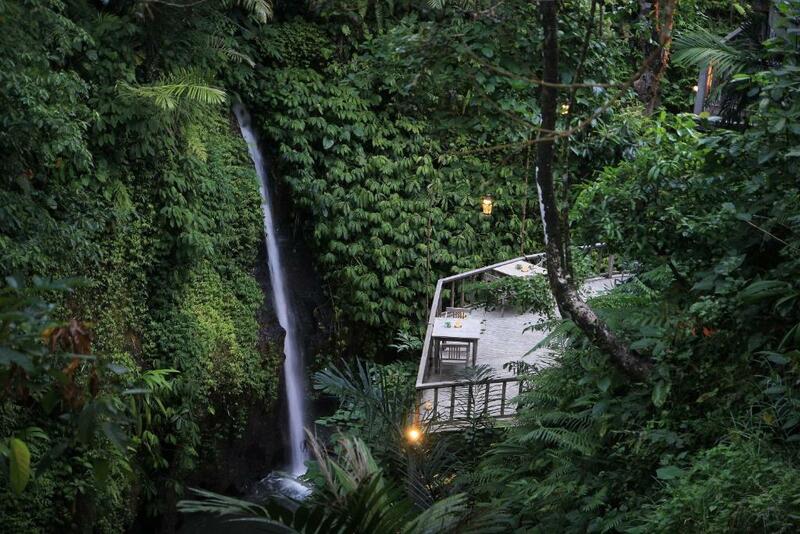 The hotel, the staff, the spa, the Kepitu restaurant.. everything was more than perfect. We will come back! I have no words to describe this place. It is just amazing! I have visited so many high stars hotels but this one sets the benchmark for quality and hospitality! Thank you and see you again, dear friends! Set amidst a garden featuring a chapel and pool, The Kayon Resort features rooms and villas with views over historical Petanu River and jungle. 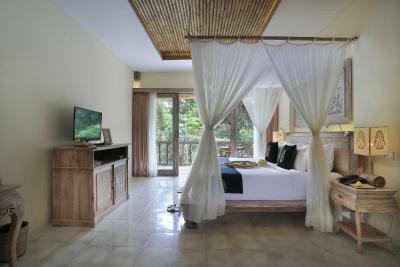 The resort offers complimentary hourly shuttle to and from central Ubud. 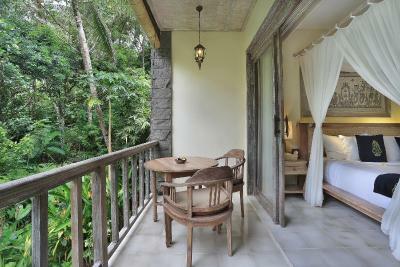 Air-conditioned rooms boast a scenic terrace, private entrance and a seating area. Fitted with flat-screen satellite TV, CD/DVD player and a laptop safe. It also includes a mosquito net, wardrobe and sofa. The room is fitted with a minibar and electric kettle. 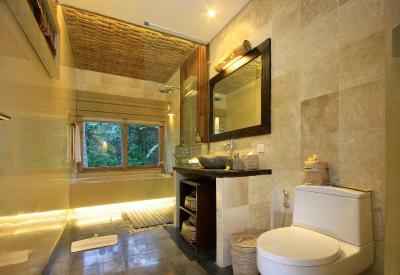 The spacious marble bathroom comes with a shower, bathtub and hairdryer. Free WiFi access is available throughout the property. 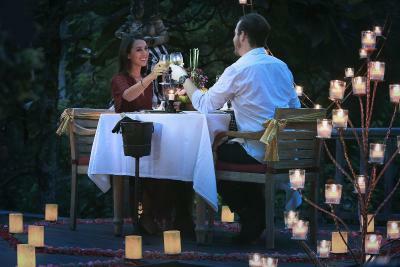 Guests can enjoy dining on fusion dishes at KE-PI-TU Restaurant which features Balinese royal setting. Alcoholic beverages can be enjoyed at on-site bar. The resort also offers room service from 07:00 to 22:00. Spa treatments and relaxing massage are available at Serayu Spa. There is also an on-site beauty salon. Operating a 24-hour front desk, the staff at The Kayon Resort can assist guests with laundry, dry cleaning and ironing services at additional charges. Airport shuttle, car hire and bicycle rental are available at an extra charge. The hotel’s tour desk and ticket service helps guests with trip planning. Other facilities offered on-site include concierge service. Guests can relax in the garden or read a book in the library. Business centre is also available. 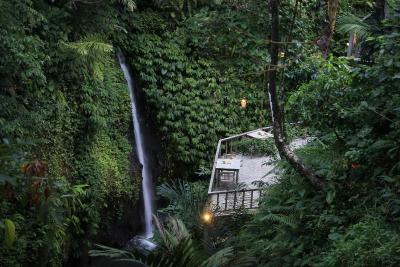 The Kayon Resort is a 10-minute drive to Ubud Palace, a 15-minute drive to Ubud Monkey Forest and a 90-minute drive to Ngurah Rai International Airport. The Kayon Resort has been welcoming Booking.com guests since 17 Jul 2014. 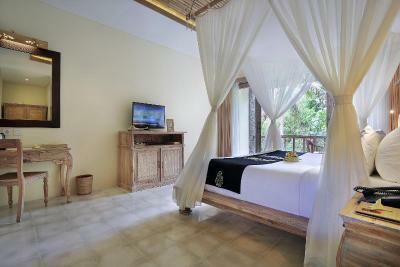 When would you like to stay at The Kayon Resort? This spacious double room features a terrace, air conditioning and sofa. Equipped with a flat-screen satellite TV, CD/DVD player and a laptop safe. Complete with an electric kettle, minibar and tea/coffee maker. 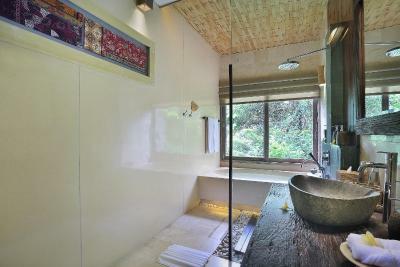 The marble en suite bathroom comes with a bathtub, shower and hairdryer. 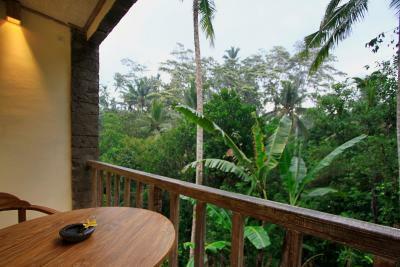 Overlooking the Petanu river, this spacious air conditioned suite has a private entrance, seating area and terrace. Fitted with a flat-screen satellite TV, CD/DVD player and a laptop safe. Complete with an electric kettle, minibar and mosquito net. The marble en suite bathroom comes with a bathtub, shower and hairdryer. Featuring parquet flooring, this lavish air conditioned villa has a private pool, terrace and seating area. Equipped with a flat-screen satellite TV, CD/DVD player and a laptop safe.The dining area is fitted with a minibar and electric kettle . The marble en suite bathroom comes with a bathtub, shower and hairdryer. 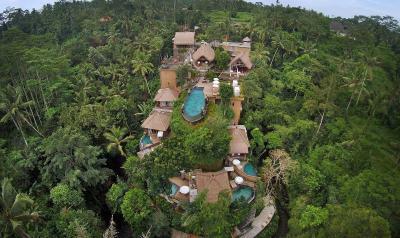 The Kayon resort is perched on Ubud hills side, surrounded with holy Petanu River and lush tropical rainforest gives a relaxing vibe. Kayon means tree of life creations and secret that grows from earth towards heaven. Decorated with Ramayana story. 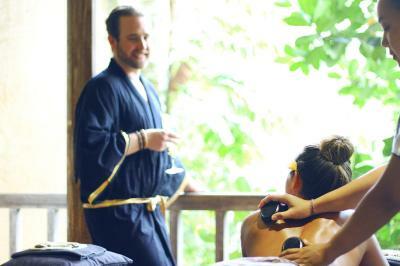 House rules The Kayon Resort takes special requests - add in the next step! Children 15 and older are allowed at resort. The Kayon Resort accepts these cards and reserves the right to temporarily hold an amount prior to arrival. Please note that credit card used for booking must be presented upon check-in, otherwise the property may request that full payment is settled immediately with an alternative method. Any deposit paid will be refunded to the original card. The staff and facilities were amazing! Afternoon tea menu was not great. Need to more develope. The only negative is lack of space for a bar/lounge area for drinks: so you have to sit in the restaurant. The other suggestion would be for the staff to resist pestering for feedback. If it’s good we’ll say so. Likewise if it’s bad. But those are guest’s choices to make. Facilities, staff more than welcoming..
We like local indonesian food, so food could be more authentic indonesian. understand its been adjusted to suite foreigners. This was an amazing property. The staff could not have been more helpful and accommodating. The only problem about staying at the Kayon, was that it was hard to leave the property each day to wander out. We had massages at the spa and they were exquisite. I am gluten free and not only did the kitchen provide gluten free bread every day but they also found different varieties for me. We at at the property each night and the food was terrific. Breakfast, which was included, was a real treat! The property is strikingly beautiful and very well maintained. Make sure you explore the grounds! Gorgeous and wonderful, but most of all, the staff is just incredible!!!!! Amazing setting, and beautiful hotel.